Our motel features 60 rooms on four flours and three of the floors have direct parking access. 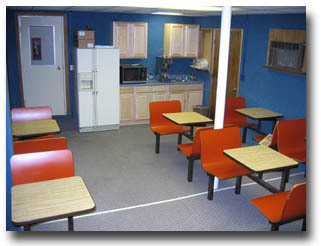 We also have ice machines, soft drink machines, coin laundry and hospitality room. We offer smoking and non smoking rooms, but sorry, no pets are allowed. For AAA & AARP and Internet users we offer special prices, which are 30 % off our regular rates.